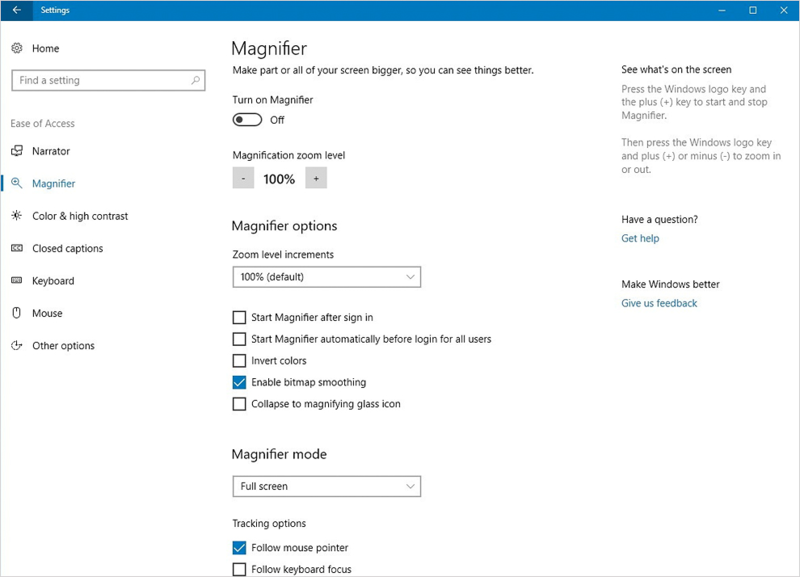 Did you know that your computers operating system has built-in accessibility features to assist users with a range of physical and motor disabilities such as impaired vision, hearing loss or motor skills. Turning on these features in Apple OS X and Microsoft Windows systems can help many people navigate websites that they may not be able to otherwise access. It will offer help with the common accessibility features. Here we show you how to access these features on an Apple OS X and Microsoft Windows platforms. Windows 7 to 10 includes the Ease of Access Center. The simplest way to get started is by pressing and holding down the Windows Logo key (located at the bottom left of the keyboard between the Ctrl and Alt keys) while pressing the letter U. 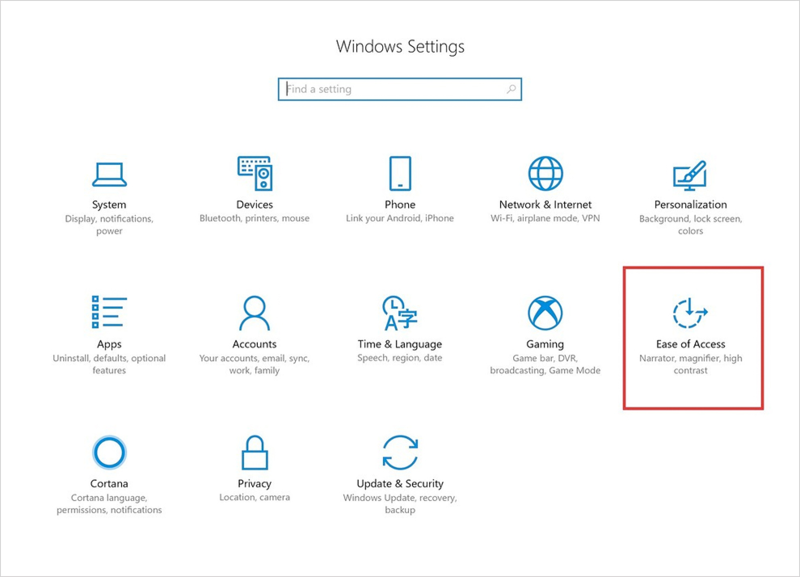 You can also access the 'Ease of Access' section by clicking the Windows logo on the keyboard and then click the 'Settings' Icon on the left side of the screen. Once you have navigated to the 'Ease of Access' area, you will see a number of options on the left hand side of the screen, where you can customise your system settings to engage with websites in the future. You can bring up this window anytime with a simple shortcut. On the built-in keyboard of a Mac notebook computer, press Fn-Option-Command-F5. On a Mac notebook with Touch ID (power button),* triple-press Touch ID. On an external keyboard, press Option-Command-F5. 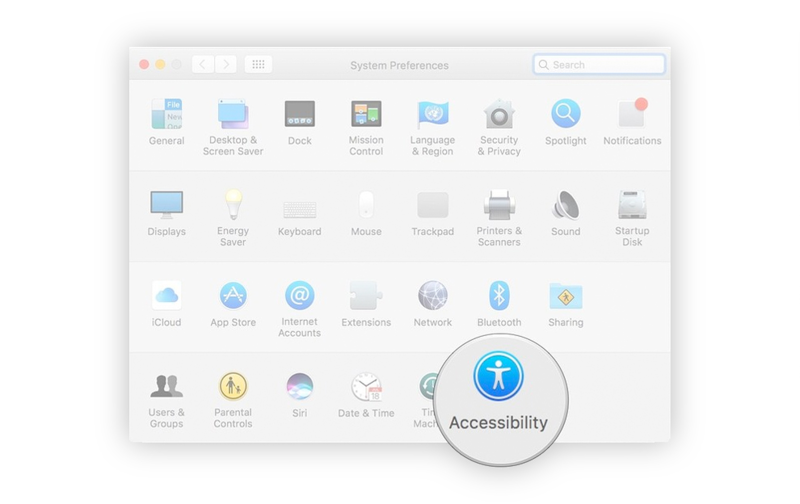 You can also access the 'Accessibility' section by clicking the apple icon on the top left of the screen and selecting 'System Preferences'. Once you have navigated to 'Accessibilirty' area on the Mac, the options window lets you quickly turn on or off common accessibility features like Zoom, VoiceOver, Sticky Keys, captions and more.